The following timeline shows important events in the history of the Guthrie-Edmond Regional Airport. The original airport, consisting of a grass strip where the north industrial road is now located, was moved to our present location. 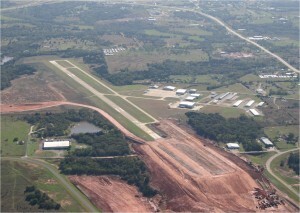 The airport remained a grass strip until 1968, when a 3,000-foot section of paved runway was constructed at the airport. The grass strip remained in service. The parallel taxiways were added. The present-day ramp was constructed in sections. The grass runway was closed. The hard surface of runway had grown to nearly 4,100 feet in length. The airport terminal building was constructed, replacing an old building where the second hangar now stands. Construction of 1,000 feet of additional runway and taxiway surfaces commenced. All projects affiliated with this expansion, including navigational aids, safety areas, fencing, an airport layout plan upgrade, and rerouting the industrial road, were completed in 2007. Guthrie entered into a partnership with Edmond to co-sponsor the airport. The lighted sign at the entrance to Airport Road was erected. The airport received the Outstanding Oklahoma Airport award. The airport was designated as an area able to operate as a foreign trade zone. In addition, the Wilkins property was purchased. 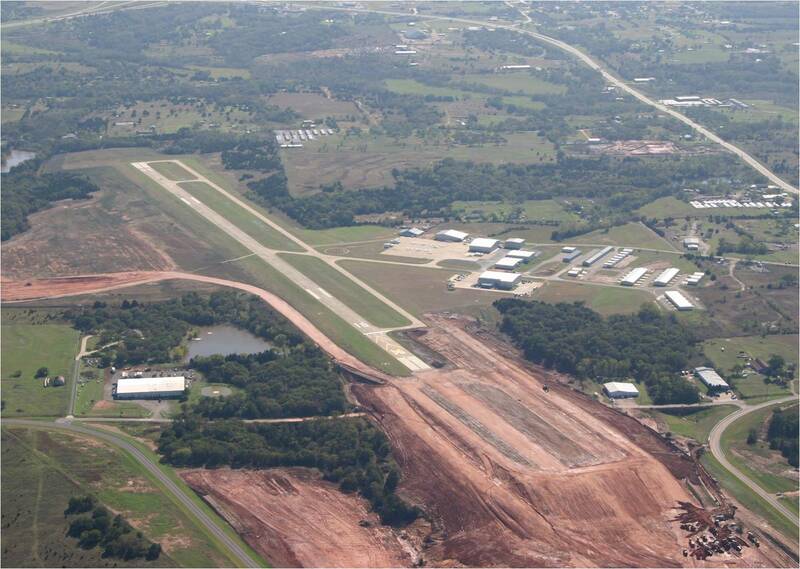 Finally, a taxiway lane extension into the t-hangar was completed. The lighted taxiway signs at each cross taxiway accessing the runway were installed. The airport purchased a new John Deere tractor and batwing mower. All of the hangars presently at the airport have been constructed since the mid-1960s.